"We are committed to earning your trust by providing the expertise and value you expect." Before any work is carried out, we let you know exactly what the job involves. Our buying power allows us to purchase quality parts in bulk and pass those savings onto you. We’re equipped with the latest specialist tools and diagnostic software that can tailor the job specific to your vehicle. All makes and models including Domestic, European and Asian vehicles. From batteries, brake & clutch, gearboxes, transmissions, radiators, timing belts to starter motors, majority of the repairs we do will have you back on the road that same day or the next. From chips & scratches, sun fades, dents & smashes to full panel and vehicle resprays, we have state-of-the-art equipment and the expertise to have your car looking brand new! Upload photos of the job at hand and we’ll provide you with the costs involved. Equip your car with what it needs to handle any situation. The world’s toughest ute liner and spray-on protective coating; unmatched in strength, UV stability, colour range and long term performance. 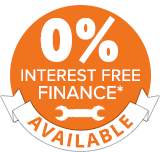 GET A FREE NO-OBLIGATION COMPETITIVE QUOTE FAST! – Read our customer reviews by clicking below. "Their prices are competitive and we get to talk to the people who are actually involved in looking after our cars." "Thanks to Tim, Brent and their staff. I have 2 parts of my car fixed in the same week in May 2018. The repair was done on time and to a high standard which was appreciated. I would definitely use them again and highly recommend. Thanks to all." "The best in the business! Great service. They went well and truly above and beyond. Highly recommended." "Had my car serviced there on my way around Australia would recommend, great service and reasonable price." "Could not say enough about how amazing the guys at Sharp Auto Care are. Incredible service at an affordable price is just the tip of the iceberg." "Love these boys so much, they take pride in their work and look after their customers." "Excellent service EVERY time! Thanks Sharp Autocare." "Very happy with service price and feedback, impressed with custom jobs in shop. highly recommend these guys." "Thanks to Brent & the boys for my new all terrain tyres fitting / balancing & 4wd wheel alignment. Great job & a great price! See you guys again soon!" "Very polite and helpful. Highly recommended. 👍"
"Best service, great at sourcing parts, courtesy car, awesome panel and paint department, these guys are just the business. I'd recommend them for all your cars, we take our Ford and our Honda there."